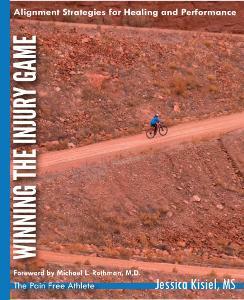 We recently received a copy of PRT Jessica Kisiel’s newly released book Winning The Injury Game – Alignment Strategies for Healing and Performance, and wanted to share the news with PRI Nation. Below are a few words from Jessica about her story and inspiration for writing the book. Do you have patients or clients who want to learn more about their pain and the process of recovery from someone who has experienced what they are going through, and has an understanding of the importance of alignment, balance, wellness, and performance? If so, you should check out this personal and inspiring book, which includes many references to Postural Restoration®. Jessica is offering a 10% discount to PRI providers, which can be purchased on her website The Pain Free Athlete, using the code PRI10 . PRI does not sell or benefit from the sale of this book. 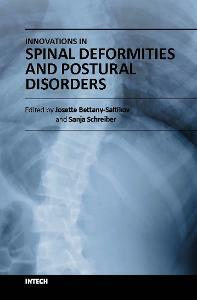 “Innovations in Spinal Deformities and Postural Disorders” was just released on September 27th. We are so proud of Susan Henning, Jean Massé and Lisa Mangino from Advance Physical Therapy in Chapel Hill, NC, who spent countless hours summarizing their clinical experience utilizing Postural Restoration® with scoliosis and other spinal dysfunctions! Chapter 7 titled “Postural Restoration: A Tri-Planar Asymmetrical Framework for Understanding, Assessing, and Treating Scoliosis and Other Spinal Dysfunctions” is sure to be a popular reference for all PRI professionals who work with patients or clients with curvature of the spine. I had a chance to get a little more information on Susan’s path of learning and teaching about scoliosis. She began her dive into and interest in scoliosis after attending the Advanced Integration course over 10 years ago, and shortly after she attended a Schroth Method course which expanded her focus and insight into working with that population. In 2014, Susan presented at our Annual Interdisciplinary Integration, where her presentation focused on the similarities of the Schroth and Postural Restoration® methodologies. While attending the International Society on Scoliosis Orthopaedic and Rehabilitation Treatment (SOSORT) meeting in 2016, Susan was introduced to Josette Bettany-Saltikov, PT, PhD, and she had the opportunity to introduce her to some of the PRI concepts. Josette began writing “Innovations in Spinal Deformities and Postural Disorders” with Dr. Sanja Schreiber and they asked Susan to contribute a chapter on Postural Restoration®. After the abstract for the book was accepted, Susan brought her colleagues Jean and Lisa on board to help write the chapter. They ended up finishing it in only 6 months! We are so thankful for all of the hard work they all put into making this chapter a reality. We are also excited to have Susan, Jean and Lisa teaching the scoliosis section (day 4) of the Advanced Integration course this year, and in future years. If you are working with patients who have scoliosis, be sure to check out this chapter, and register for the Advanced Integration course! Their expertise of curvatures of the spine will provide course attendees with new material on treatment for non-pathological and pathological scoliosis curves, juvenile kyphosis and torticollis. 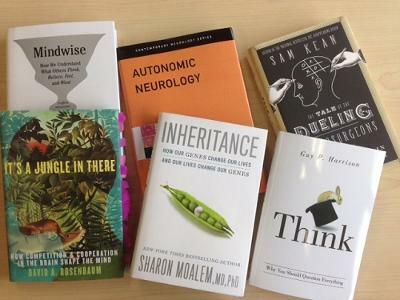 There is now a PRI Book Club! The Postural Restoration Google Group will be discussing Right Hand, Left Hand: The Origins of Asymmetry in Brains, Bodies, Atoms and Cultures by Chris McManus starting on Nov 3, 2014. In order to take part in the fun you must join our google group. The Postural Restoration Google Group is a great forum for PRI practitioners to discuss challenging cases, share important research articles, and simply discuss any topic that is PRI related. To become a member please send an email to HeatherCarrDPT@gmail.com and she will send you an invitation to join. 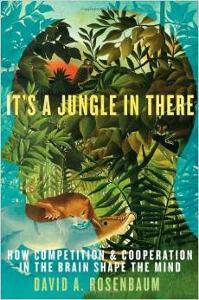 I just recently finished reading "It's a Jungle In There" by David Rosenbaum. This cognitive psychology overview, with a Darwinian perspective, touched on 'perceiving more than is really there'. Phenomena often reflect "top-down" processing. The term refers to high-level interpretation biasing perception, so perception is not just dictated by immediate sensory data or "bottom-up" processing, but is also shaped by expectations. Over-competition and under-cooperation among relevant neural representatives can bias perception. The last course I taught in Richmond, VA was Cervical-Cranio-Mandibular Restoration, and it was attended by a number of 'neural representatives' that were once "bottom-up" processors and are now "top-down" perceivers. I really enjoyed their cooperation and non-competitive communication! What's Ron Reading These Days? Are you curious what books Ron has been reading lately? Well here they are! These are the most recent additions to his desk (and the PRI resource center). As you can tell by all the purple tabbed pages, the book he just finished is "It's a Jungle in There" by David A. Rosenbaum. Stay tuned for a short synopsis on this book next week! If you have read any good books recently, be sure to comment on his story to let us know what books we should be getting next! In May of 2006, I taught a Postural Respiration course in Tulsa, Oklahoma. I met Julie Hereford for the first time at that course and was in awe of her knowledge on the subject of sleep. She was asked to be a presenter at the 2010 PRI Interdisciplinary Integration Symposium and along with Dr. J. Paul Rutledge, they introduced sleep to us like no one had before. Dr. Julie Hereford, PT, DPT has now published a book that will provide rehabilitation professionals with a source of information that will help them gain a better understanding of sleep and its impact on the rehabilitation process. If you want to know how sleep can increase cortisol levels or reduce glucose tolerance or increase sympathetic nervous system activity, you will enjoy this read. Dr. Hereford has always been an advocate of sleep being tied to consolidation of motor learning. “It follows that dysfunctional sleep may interfere with the ability to incorporate particular restorative movement patterns that are learned and practiced during a rehabilitation session unless the appropriate stage of sleep is achieved within a specific time frame.” I believe the reader and clinician will not be disappointed with any of the four sections of this book and will be introduced to disordered sleep as it relates to systemic challenging disease and dysfunctional patterns. Therefore, Sleep and Rehabilitation: A Guide for Health Professionals is a must for book shelves of those who appreciate the need for sleep and its intricate effects on performance. Are you interested in what Ron Hruska has been reading in the past couple months? Well, here is the extensive reading list. As you can see it is a very interdisciplinary collection of books, ranging from lumbopelvic pain to optometry integration to orofacial pain. If you are looking for some good reference material, check out the list below! And arriving just 5 minutes ago from UPS was the book, Energy Medicine in Therapeutics and Human Performance by James Oschman. Thank you Janine for recommending this book to Ron at last week’s Cervical-Cranio-Mandibular Restoration course! What are you reading? If you have any recommended reading materials, please let us know in the comments section below! The Brain that Changes Itself: Stories of Personal Triumph from the Frontiers of Brain Science written by Norman Doidge is a highly recommended PRI reading! This book was discussed throughout our Interdisciplinary Integration course this past weekend and it was decided that this book is a must have!! To learn more about this book, click here! Here is what the New York Times had to say about it! There are several websites that sell this book, we feel it is definitely worth having around! You can preview some of the pages from this book by clicking here!